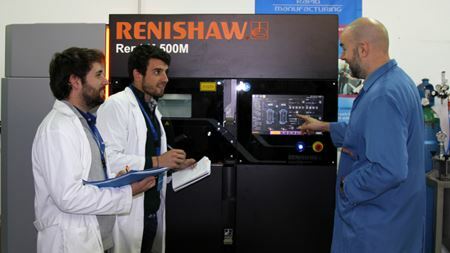 Renishaw’s RenAM 500M system has been installed at the Centre for Advanced Aerospace Technologies (CATEC) in Seville, Spain. 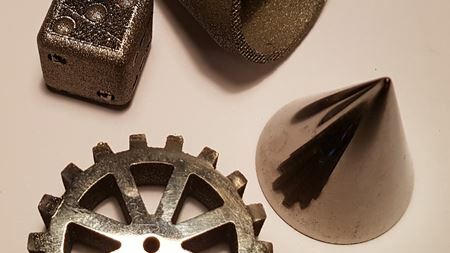 AM Ventures (AMV) and Exmet AB have entered into an agreement to develop technology for the additive manufacturing (AM) of amorphous metals. Kennametal has been recognized as one of 2017’s World's Most Ethical Companies by the Ethisphere Institute. Linde reports group revenue of €16.948 billion, up 0.2% after adjusting for exchange rate effects. Umicore has acquired South Korean automotive catalyst joint venture, Ordeg Co Ltd for €82 million (KRW 100 billion). The Metal Powder Industries Federation (MPIF) has launched the first video in a series focused on powder metallurgy (PM). Researchers have found a way to greatly reduce the effects of fatigue in steel by incorporating a laminated nanostructure. APMI International plans to run a course covering automation in the PM industry on 13 April 2017, in St Marys, PA, USA. Business area Sandvik Mining and Rock Technology has announced an agreement with IBM. Honoring and Promoting a Young researcher active in the fields of Nanofabrication and Nanotechnology for Electronics, MEMS and Life Sciences. GKN has reported a sales increase of 22% in 2016. Profit before tax was up 12% to £678 million, compared to 2015 figures of £603 million. GE has announced the appointment of seven new company officers. SKF has made plans to consolidate its organisational structure and group management. The EPMA has launched its 2017 powder metallurgy (PM) thesis competition at both diploma (masters) and doctorate (PhD) levels. GE plans to expand the headquarters and employee base of Concept Laser GmbH, and invest in more additive equipment and materials. The supervisory board of Linde AG has appointed Dr Sven Schneider as member of the executive board and chief financial officer. AM specialist 3D Systems has reported a 2016 revenue decrease of 5% to US$633.0 million compared to U$666.2 million in 2015. AP&C, based in Montreal, Canada, has received a significant order for MIM (metal injection molding) applications. Automotive company Bodycote reported revenue of £600.6 million, a 5.9% increase from the 2015 revenue of £567.2 million. The MPIF’s industry development board has completed a redesign of the PickPM.com website. Two managers at hardmetal specialist Kennametal Inc, have received honors at the Women in Manufacturing STEP Awards. The 2017 EPMA Board & Council Meetings will take place on 30 March 2017 in Brussels, Belgium. AM and MIM specialist ARC Group Worldwide reports revenue of US$28.2 million for fiscal Q2 2017, an increase of 18.3% on fiscal Q2 2016.